The Petite France is a historic quarter of Strasbourg. It is located at the western end of the Grande Île, which contains the historical centre of the city. Just upstream of Petite France, the River Ill flows through the Barrage Vauban, a defensive structure built at the end of the 17th century. Downstream of this, the river splits into the Canal du Faux-Rempart and four channels which flow through the Petite France quarter. 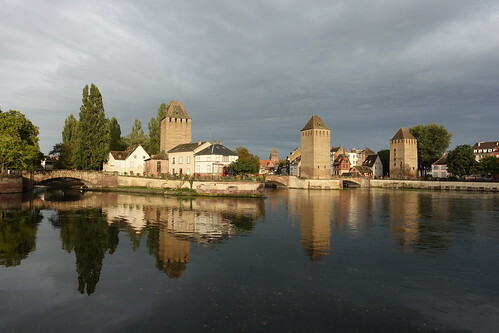 These four channels are spanned by the Ponts Couverts, an earlier defensive structure of three bridges and four towers that, despite its name, has not been covered since the 18th century. The Jardin des Deux Rives (Park of the Two Shores), also known as Garten der Zwei Ufer in German, is a park built in 2004 that straddles the France / Germany border along the river Rhine: One part is in Strasbourg, the other in Kehl. The two parts are linked with a pedestrian / bike bridge, the Passerelle des Deux Rives. 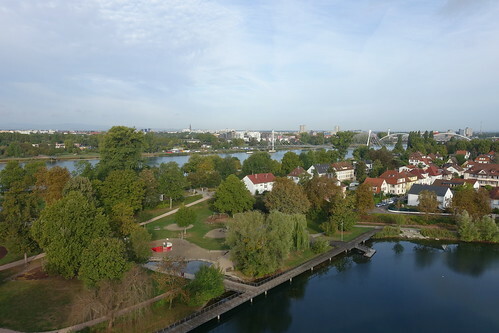 On the south part of the park in Kehl is the Weißtannenturm (White fir tower), a wooden tower with a good view on the park and the Rhine from the top. Around the end of spring, I went on a hike to Gorges du Chéran, Tours Saint-Jacques and Semnoz (climbing from the southern flank this time). Earlier this summer, I went on a hike in the Bellegarde-sur-Valserine area: I visited the Pertes de la Valserine, Fort l’Écluse, Rocher de Léaz and Pont de Grésin. 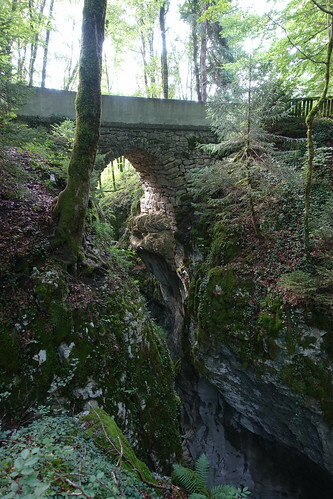 The Pont du Diable (Devil’s Bridge) is small stone bridge in Bellecombe-en-Bauges, not very far from the Pont de l’Abîme. 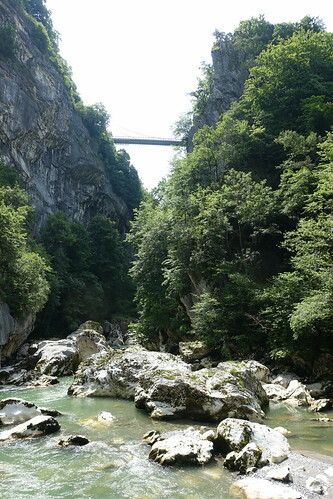 The deep and narrow gorge formed by the Nant de Bellecombe below is a popular place for the practice of canyoning. Last autumn, I went on a car trip through the Bauges valley near Annecy, visiting points of interest along the way. 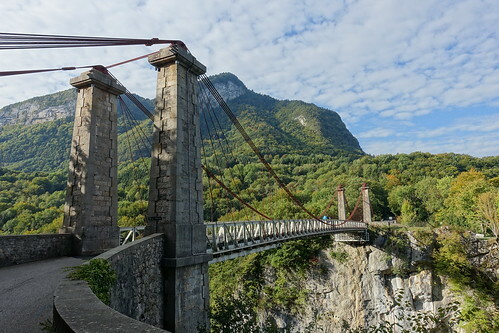 The first stop was the Pont de l’Abîme (literally Abyss Bridge), a suspension bridge linking the villages of Cusy and Gruffy. 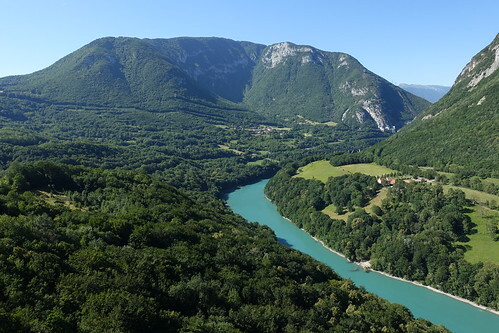 It was built in 1887 to cross the gorge formed by the Chéran river, 96m below.